At Outdoor Lighting Perspectives of Nashville we can’t emphasize how important it is to call in your lighting company before you build your outdoor structure. Most of the time your wish is to make sure your wiring is hidden instead of exposed. Once construction on your structure is completed it is very difficult to hide the wiring. If your lighting company is informed ahead of time , they can make certain that everything is neatly hidden from the naked eye, and still ensure the integrity and safety of the lights themselves. When our customers let us know before they begin construction on their outdoor structure we can customize their lighting on a whole different level, that’s why it is important to not wait until the structure is completed. For example with a new deck, we can make sure conduit is run throughout the entire decking system and have it pre-wired to accommodate your chosen fixtures. This approach ensures that no additional drilling is necessary, and you get a more secure fitting fixture in the process. 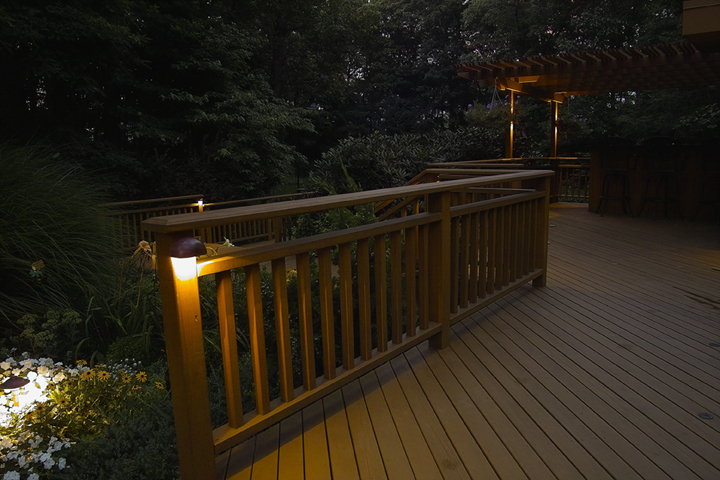 When we talk about deck lighting there are a wide variety of fixtures that we really like to use. All of our fixtures are high quality and come in your choice of copper, nickel or antique brass. One of which is the half-moon deck light. The product description in our catalog for the half-moon light says it all…” This understated but powerful light casts the industry’s widest indirect wash from its perch upon deck posts and retaining walls. 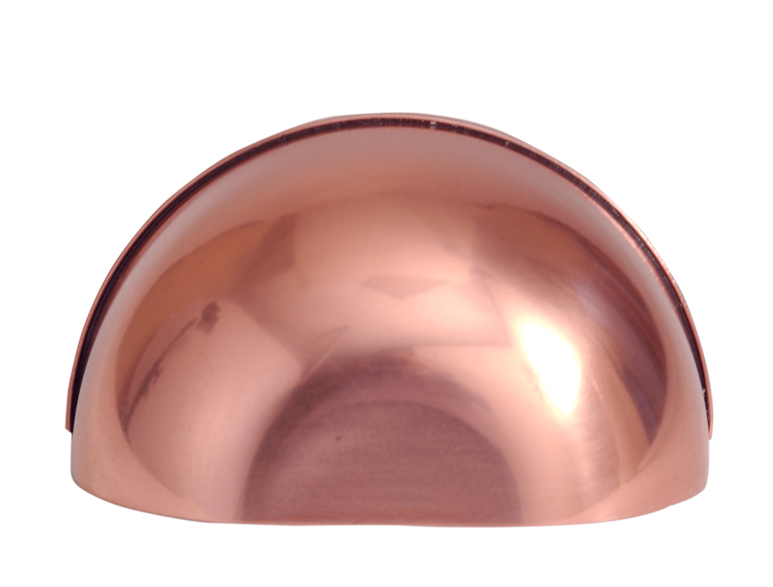 The half-moon sconce creates rich ambient light, and the beautiful copper finish weathers the element with grace”. Our fixtures can also be powder coated, dipped and oxidized. Oxidation will turn them a rich deep bronze,which by far is our most popular finish in deck lighting.We also carry step lights which are installed in the riser. We carry one with a Louvered face plate and also a scoop face plate. This entry was posted in Deck lighting, Outdoor Lighting, Outdoor lighting design, Outdoor Lighting Installation, Outdoor Lights Nashville, Residential outdoor lighting and tagged Deck lighting, Half-moon light, Lighting fixtures, lighting specialist, Nashville, Outdoor Lighting, outdoor lighting Nashville, outdoor lighting perspectives by John Groce. Bookmark the permalink.